We are a church that Evangelises. We are a church that Establishes new believers. We are a church that Encourages all people to follows Jesus. We are a church that Equips believers. We are a church that Exalts Jesus. Senior Pastor – Rev. Gary McGinty Pastor Gary has held the position of Senior Pastor at Cairns Baptist Church since March, 2003. Prior to that time, he was the founding pastor of Mill Park Baptist in Melbourne for 16 years. Gary trained as a motor mechanic and built his own successful business for 19 years before taking up the call to become a pastor. He is committed to Bible-based preaching and seeing the Church reach out into the community to share the love of Christ through good works and speaking the gospel. Gary brought with him to Cairns Baptist a strong commitment to Home Groups as the place where Christians are able to grow and help each other grow as Christians. His desire is to see everyone in the Church ministered to in this way. He also believes it is important for every Christian to discover their spiritual gifts and use them in ministry. 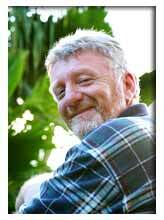 Gary also holds the role of FNQ Area Co-ordinator for Queensland Baptists from Tully to Cooktown. Friday – Youth group. See here for details. You can listen to our podcast HERE.